This image is by S. G. Nicholson from 1821. 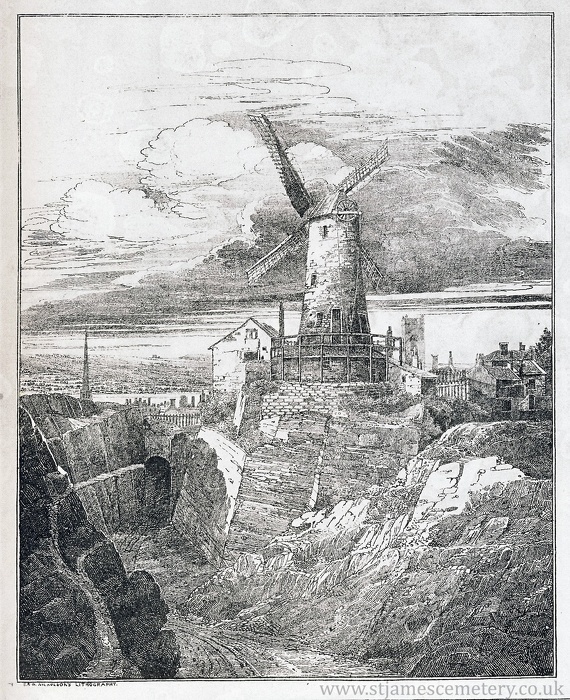 It features the windmill that stood on the site of the oratory and the steep rock cliff faces of the quarry as well as one of the tunnels. There are two churches in the distance, the one to the right seems likely to be St Mark's Church of Upper Duke Street (built in 1803).